Did David Sarnoff Work a Telegraph Three Days Straight Covering the Titanic Sinking? Here is the latest in a series of examinations into urban legends related to radio and the people “behind the microphone,” so to speak, and whether they are true or false. RADIO URBAN LEGEND: David Sarnoff stayed on the telegraph for three days straight getting the first details of the Titanic sinking. 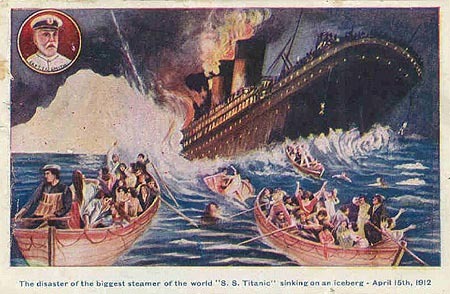 As horrific of a tragedy the sinking of the Titanic was, it turned out to be a major boon for the future of radio. At the time of the Titanic sinking, wireless communication was only just beginning to become a major tool, particularly for naval vessels, who could use telegraphs to communicate with people at great distances. That any of the passengers of the Titanic survived the sinking was due entirely to the fact that the ocean liner Carpathia picked up the wireless transmissions of the Titanic’s two Wireless Operators (who continued transmitting until they literally could not do it any longer). This, coupled with the fact that the ship closest to the Titanic, the Californian, did not stop to help because their Wireless Operators were asleep and their wireless station shut down, was a major success, of sorts, for the American division of the Marconi Wireless Telegraph Company. It proved the impressive utility of wireless communication, and it did so in a massive news story with the whole world paying attention. While surely the radio industry would have eventually started ANYways, this definitely gave it a jump start. One person that this ALSO gave a jump start to was a young Marconi Wireless worker named David Sarnoff. In America, twenty-one year old David Sarnoff stayed at his wireless telegraph listening post atop the Wanamaker department store in New York for seventy-two uninterrupted hours, relaying to newspapers and frantic family members news of the sinking. His diligence made his career – and assured the future of radio communication. I felt my responsibility keenly, and weary though I was, could not have slept. … Much of the time, I sat there with nothing coming in. It seemed that the whole anxious world was attached by my earphones during the seventy-two hours I crouched tensely in the station. I sat for hours — listening. Now we began to get the names of some of those who were known to have gone down. This was worse than the other list had been — heartbreaking in its finality, a death-knell to hope. I passed the information on to a sorrowing world, and when messages ceased to come in, fell down like a log at my place and slept the clock around. Do note that this version of the story is already changed from the ORIGINAL version of the story, which was that Sarnoff was the FIRST person to get wireless transmissions regarding the Titanic. This one we know is plainly false, as A. The Wanamaker store was closed on Sunday nights when the transmissions were taking place and B. A Newfoundland wireless station was the first place to receive transmissions regarding the Titanic. In fact, they received transmissions FROM the Titanic (via a relay from another ship). That one is so plainly false that it has mostly been ignored in favor of the “Sarnoff tirelessly stayed there for three days as the lone connection to the story and he became known across the world for his heroism” tale. Well, first off, telegraph operators Jack Binns and J.H. Hughes were also there. Secondly, by 1912, Sarnoff actually was a manager of the telegraph operators. Thirdly, only one newspaper account of the tragedy even MENTIONED Sarnoff and Wanamaker (a New York Times article), and that account just mentioned that Hughes was unable to establish direct communication. Nothing about Sarnoff and nothing about the supposed great role that Wanamaker played in the tragedy. In fact, there are records that contradict later claims of Sarnoff that the President shut down other wireless stations to allow Wanamaker station to concentrate on getting the news. Said records show that while yes, stations WERE shut down for said reason, Wanamaker was actually one of the stations that WAS shut down (temporarily, but still)! Looking at all the evidence, it is likely that yes, Sarnoff was at Wanamaker as soon as he heard the news of the Titanic sinking, and yes, he likely stayed at the station for days, as, well, why wouldn’t he? This was a major news story, so if you could be involved (especially if you were a guy as ambitious as Sarnoff) – why wouldn’t you? But it seems more likely, from the fact that he was a manager at the time and that the only news article we have of the time mentioning him mentions HUGHES at the wireless, that Sarnoff spent those three days mostly in a managerial capacity. This is not a shot at Sarnoff. He was dedicated to his job, and he was soon rewarded with a promotion by Marconi. But the only accounts we have of Sarnoff’s heroics on the day come from Sarnoff himself. Soon after the Titanic tragedy, wireless communication on ships were made to be 24/7, which was a major boon for Marconi and other wireless companies. Eventually, commercial radio became a reality in America, and David Sarnoff was a major part of it. At the newly formed Radio Corporation of America (RCA), Sarnoff was soon hired on and he rose in the ranks until he became a major executive at the corporation and helped to launch RCA’s first radio network, National Broadcasting Company (NBC). In 1930, Sarnoff became President of RCA. 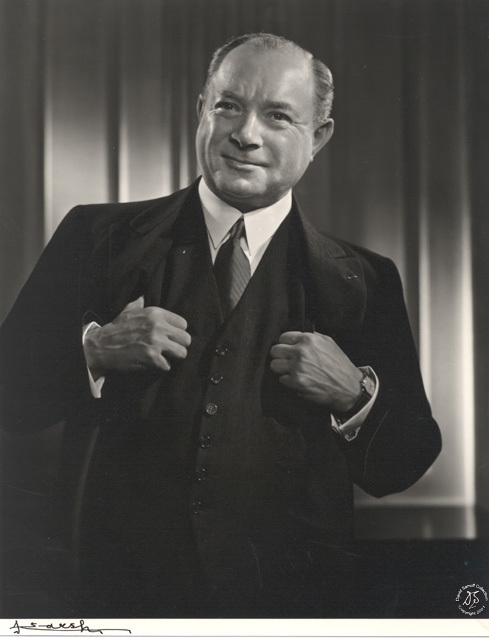 Over the next few decades, Sarnoff was a major pioneer in various forms of media, helping to push for the development of the television industry, most primarily. Sarnoff would become so famous and so successful that his recollections of his days at the telegraph bringing in news of the Titanic were deemed unassailable. And in fact, by the time he died in 1971, no one had actually questioned his story. Magazine and newspapers did stories on his early days, never noting that all of them were using the same source as the basis for their pieces – that source? Sarnoff himself. David Sarnoff was a great pioneer in the field of media, but he was also a great self-promoter, and he did a wonderful job creating a myth that still exists today. Thanks to Evan I. Schwartz’s The Last Lone Inventor: A Tale of Genius, Deceit, and the Birth of Television for a lot of great research regarding Sarnoff’s role in the events of the day. This entry was posted on Monday, October 1st, 2012 at 7:30 am	and is filed under Grab Bag Urban Legends, Radio Urban Legends Revealed. You can follow any responses to this entry through the RSS 2.0 feed. You can leave a response, or trackback from your own site.